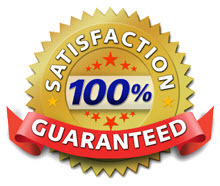 At TRUE STEAM Your Satisfaction Is Our Highest Priority. If for any reason you are unsatisfied after our service, TRUE STEAM will return to your home within 30 days of the original cleaning and fix the problem. Our friendly technicians will answer any questions you may have. You can trust us. When you set up your carpet cleaning appointment, TRUE STEAM will notify you when we are on the way, arrive on time, assess the areas being serviced and provide the very best cleaning possible.